The Mets started off their season well with a three-run homer in the first inning from Andrew Brown who was filling in for the injured Chris Young, but it wasn’t enough to overcome the Nationals. The Mets fell 9-7 in 10 innings. A strong start from Dillon Gee and three homers from the offense were not enough to overcome a struggling bullpen. Sandy Alderson has been in charge of the Mets for four years now and the bullpens he has put together have always been the worst or close to the worst in baseball. That is actually really hard to do. Somehow this pen may be even worse than in years past. We wrote in our Mets season preview that this bullpen would wind up ending their season eventually but they looked even worse than originally thought today. You can check out that Mets preview here. Bobby Parnell is a major concern as he used to throw 97-100 mph and today was just 89-93 and seemed to have trouble putting away hitters. He had the Mets one strike away from winning the game several times but just couldn’t shut them down. His velocity is a major concern for this team as Parnell is simply not 100% right now. He can’t be effective without throwing hard. Jose Valverde and Gonzalez Germen were the only relievers in the entire Mets pen to not get bombed and Germen didn’t even pitch. The other concern is the high amount of strikeouts this Mets team had today. Part of that is because of Stephen Strasburg but everyone in this lineup today is a high strikeout player. It is another cause for concern. 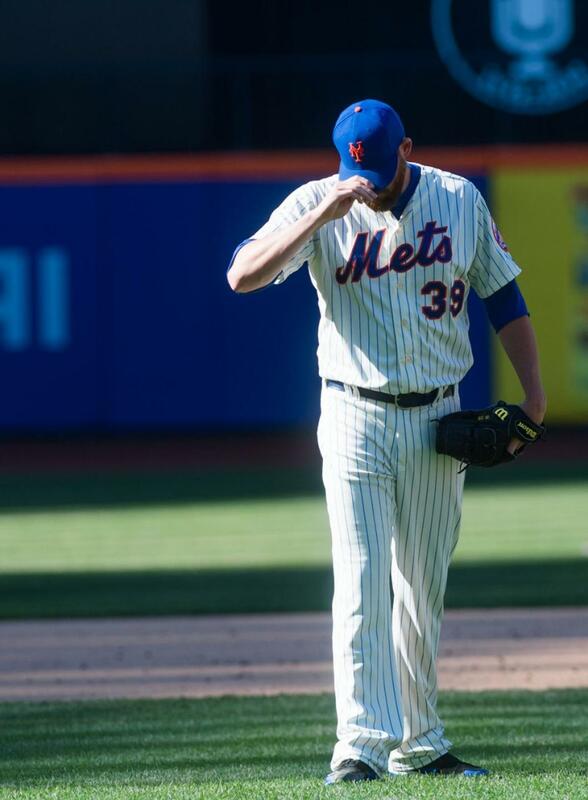 The Mets had 30 outs to play with today and struck out in 18 of them. The opponent cannot make many mistakes when you aren’t even challenging their defense. It is only one game but these two issues will continue to plague the Mets all season and they don’t seem to have any answers internally for them. There were some positives on Opening Day as well with Juan Lagares looking great at the plate including the go ahead homer at the time in the 8th inning. If he could just hit .275 he will be a star. Also David Wright had three hits including a two run homer. Valverde got three strikeouts in his 1.1 innings of work. 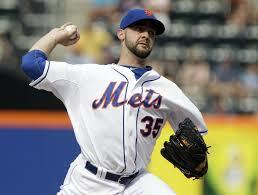 Lastly Dillon Gee looked very sharp but had one inherited runner score thanks to the bullpen not throwing strikes. The Mets will try again for their first win of the year with Bartolo Colon facing Gio Gonzalez. Do you think today’s game will be a trend or just a coincidence? Daniel Murphy and Chris Young are both OUT for Opening Day vs. the Nationals. Young is dealing with a mild calf strain as well as the flu. Murphy is still in Florida as his wife is about to give birth. Both players are expected to return Wednesday. Here is the lineup that Stephen Strasburg will face at 1:10 p.m. It is almost here, the greatest day of the year, Opening Day. Just 48 hours from now we will be enjoying Mets baseball once again. So now it is time to breakdown their upcoming season. Infield: The infield is the only part of the team that Sandy Alderson didn’t address this winter. Ike Davis likely gets the first crack at being the lefty platoon at first base with Josh Satin. With the team going to play the LA Angels in the second week of the season they will need a DH so Lucas Duda should still see plenty of at-bats early on in April. Having three first basemen on the roster certainly hurts Terry Collins’ roster flexibility which may need to be addressed at some point. Ruben Tejada is still here and looks to be the guy at shortstop despite a poor 2013 season and a rough Spring Training to say the least. Wilmer Flores with a strong spring has put himself in a position to be Plan B at shortstop despite being sent to the minors. Omar Quintanilla will make the team as the backup middle infielder. Travis d’Arnaud goes into the season with a lot to prove but is still just a rookie. He was having a rough spring with the bat until this past week so it looks like he is getting hot at the perfect time for New York. Many expect him to compete for Rookie of the Year in the National League. He likely will start the year down near the bottom of the order. Obviously the Mets have two quality hitters at third base and second base with David Wright and Daniel Murphy respectively. 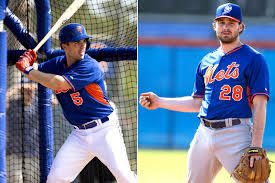 The duo just needs to stay healthy as they will be expected to continue to anchor the Mets lineup. Murphy needs to improve upon his OBP if he wants to stay a Met long-term. Outfield: The Mets spent most of their offseason budget on their outfield which looks to have improved. Curtis Granderson was an overpay coming off a lost year but he will certainly help give David Wright protection and put less pressure on guys like Ike Davis and Travis d’Arnaud who can bat lower in the lineup now. Chris Young is the X-Factor for this Mets team. He is coming off a lost year for the AL West champion Athletics but has looked very good offensively and defensively this spring. He doesn’t have the elite outfield arm he once had but is still a good outfielder. It will be important for him to adjust to Citi Field’s unique dimensions quickly especially playing in a corner outfield spot, a position he isn’t all that familiar with. Young was given a 1-year “prove it” contract so he has a lot to prove to not just the Mets but to all of baseball this season. He was still given $7.25 million however and for a team like the Mets with a very small payroll ($87 million) they badly need him to produce. When Eric Young Jr. is in the lineup Chris Young will bat 5th and when Juan Lagares is in the lineup Chris Young will likely bat leadoff. Lagares should play every day as his defense is just too good to keep on the bench. There has been a power struggle between Collins and Sandy Alderson on which outfielder should play more. Collins wants EY Jr. in their as he doesn’t believe anyone else can hit leadoff on this team. Both outfielders should see a lot of playing time. Starting Rotation: Obviously the talk about the Mets starting rotation is about the guy who isn’t here and that is Matt Harvey. He expects to be back before September but it would be very irresponsible for the Mets to let Harvey rush back like that. Besides who know if they will even be in the race that long. At the top of the Mets rotation is a pair of strike throwers in Dillon Gee and Bartolo Colon. Both have looked good this spring and could be ready for big seasons. 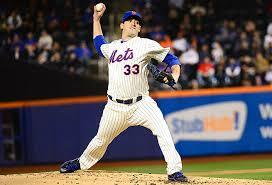 As the only left-hander on the staff Jon Niese must stay healthy if the team has any desire to stay in contention. Zack Wheeler continues to fly under the radar and if he can throw enough strikes, could be a candidate for the All-Star team in Minnesota this season. Wheeler has a dynamic arm. Daisuke Matsuzaka will start the year in the minors but will be used as rotation depth if Jenrry Mejia struggles in the fifth spot or gets injured. 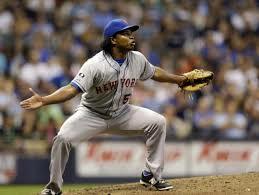 Bullpen: The Mets bullpen is their biggest weakness and will likely become their downfall this season. It all starts with the closer and Bobby Parnell doesn’t look like the same guy that was an All-Star candidate last summer. His velocity is down big and the team is already talking about him not pitching anything more than back to back games. Jose Valverde will be relied on to start the year as the 8th inning guy. He is an older pitcher and is a prime suspect for overuse to start the season should he have a few successful outings. Remember this is a guy who was released by Detroit last season, a team that was desperate for bullpen help. Scott Rice will be depended on heavily as well after a strong rookie campaign. He is also a suspect for overuse as he was overused badly by Collins in 2013 and scouts have all said his velocity has been down as well. John Lannan will hope to assist Rice in the lefty specialist role, a role that Lannan has no experience in. Jeurys Familia has an elite arm and it would a major surprise if he isn’t near the back end of the bullpen by Memorial Day, likely as the 8th inning guy. Collins wants to ease Familia into that role. Bench: The Mets bench will be very interchangeable. It will include one of EY Jr./ Lagares and two of Satin/Davis/Duda. 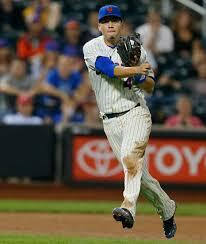 It also will have backup catcher Anthony Recker as well as Omar Quintanilla. Andrew Brown is expected to make the team as the 5th outfielder until they need the roster spot for Jon Niese. Prospects: The Mets have many prospects that will make their major league debuts in 2014. Unfortunately due to service time, none will make their debuts any time soon. Rafael Montero is the pitcher closest to the big leagues but likely won’t be up until mid-June for arbitration purposes. The same goes for Noah Syndergaard. We have already seen Wilmer Flores but the infielder will be up after the first infield injury or if Tejada struggles. He is not in the minors because of service time simply to get an opportunity to play every day. Jack Leathersich is a left-handed reliever the team thinks can get big league lefties out soon. Projection: 80-82 Third Place This Met team looks better than the past few years because of depth. If they lose a starter early on in the season they don’t have to go to an Aaron Laffey or someone like him. They have legitimate pitching prospects in the system. The N.L. East is not what it once was but the Washington Nationals and the Atlanta Braves both have much more talent than the Mets currently. Also if the Mets find themselves in it at the trade deadline, do they have the money to go take on a contract to go get the hitter they likely will need? The Mets are improving but this doesn’t look to be their year. 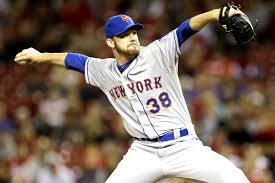 The New York Mets just announced in a surprise move that RHP Vic Black has been optioned to Triple-A Las Vegas. Black came into the spring as Terry Collins’ top choice to be the 8th inning guy. Black had a terrible spring training but looked to be safe based on his body of work last September. I talked last week about how the Mets didn’t really have a backup plan to Black here. The bullpen is now in flux. I don’t believe they would have made this move if it wasn’t for the impressive spring by Jeurys Familia. 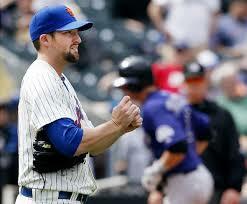 He is really the only guy in this bullpen with any sort of upside to become the bridge to Bobby Parnell. The Mets will ease him in to that role however and I would bet on Jose Valverde being the 8th inning guy. Familia has consistently hit 100 mph with his fastball and is finally throwing strikes consistently. That last spot in the bullpen is now wide open with just five days before Opening Day. Gonzalez Germen who did some nice work for the Mets last year is probably the front runner but he hasn’t had a great spring himself. This bullpen could bring the Mets big trouble. 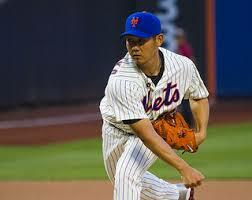 Daisuke Matsuzaka had a very strong start Monday vs. the St. Louis Cardinals. Matsuzaka threw six-plus innings and gave up just one run. It appears that the right-hander will begin the season in the Mets rotation and will start the first Friday of the season vs. the Cincinnati Reds. Dice-K has an opt-out in his contract Tuesday but is now highly unlikely to use it. Make no mistake about it; Dice-K is a stopgap pitcher until a guy like Noah Syndergaard is ready for the major leagues. Matsuzaka is just simply too slow to the plate and his games are often agonizing to watch but he pitched well enough this spring to make the team. Terry Collins was worried about putting Jenrry Mejia in that spot in the rotation because he threw such a small number of innings last year coming off surgery. If Mejia started the year in the rotation he would have to be shut down very early in the season due to his innings limit. With Jon Niese likely to start the 5th game of the season, Dillon Gee has been officially named the New York Mets Opening Day starter by Terry Collins. Gee in 50 career innings vs. the Washington Nationals is 5-1 with a 2.70 ERA so clearly Gee was the correct guy for this spot. Collins noted he would prefer to give the honor to a pitcher who was a Met last year which made Bartolo Colon unlikely. 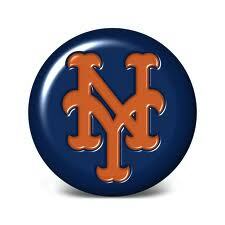 For the rest of the National series Colon will likely start game two and Zack Wheeler likely gets game three. Daisuke Matsuzaka will start game four vs. the Reds and then Niese will start game six, his first day eligible off the disabled list. So one week from today Stephen Strasburg will oppose Dillon Gee at Citi Field at 1:10p.m.